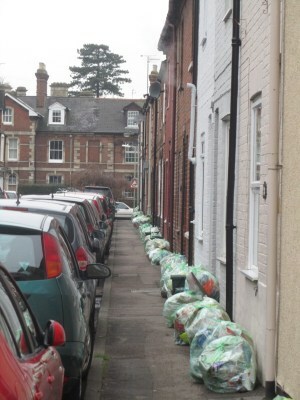 I was struck by the view down Edward Street this new year’s eve (Green Bag is like Green Bin). For a moment I wondered whether everybody had copied each other in putting out the wrong bag on the wrong day. But then I remembered that last week there was still snow and ice about. 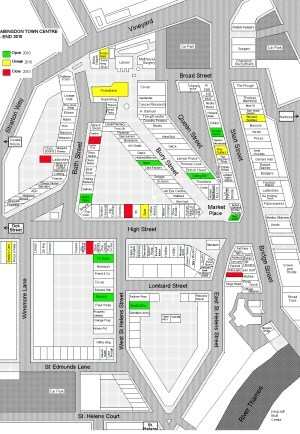 Edward Street must have been more dangerous or blocked than neighbouring Victoria Road and Exbourne Road. The helpline was telling enquirers that it was up to the driver’s discretion whether to collect specific streets. 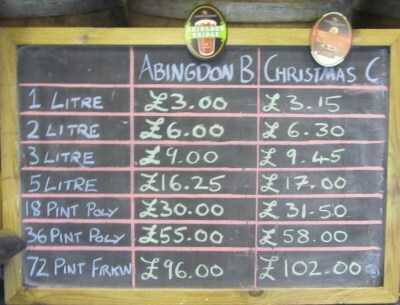 The Loose Cannon brewery had a busy time leading up to Christmas. 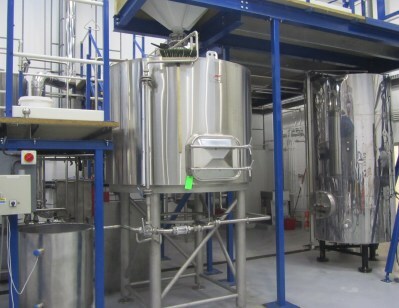 This was my first time inside the brewery since it opened back in August. The shop, out front, has been decked out with boughs of hops. I wish Loose Cannon every success, and a Happy New Year. 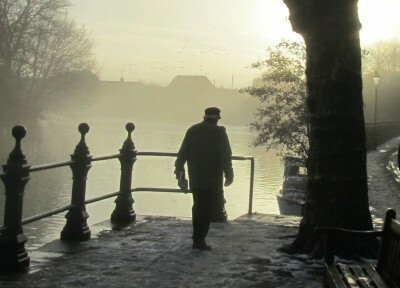 Abingdon Bridge, the regular brew, will be joined by a new IPA beer around February. You will have to hurry to get any of the Christmas Cannon. 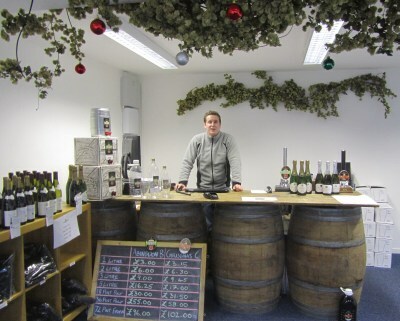 Abingdon now has a brewery and a tearoom – two things that have been missing for a few years. 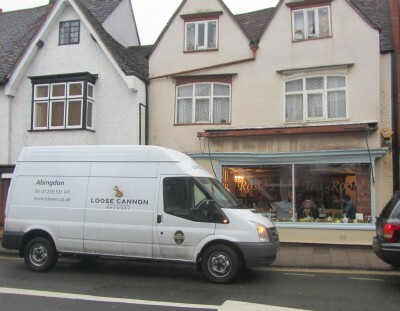 The van is from Loose Cannon Brewery and is outside the window of Rosie’s Tearoom. 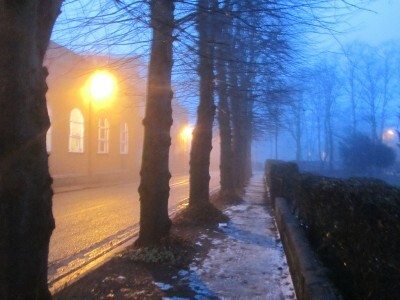 and a steamy mist rose from the River Thames around Saint Helen’s Wharf, and further afield. 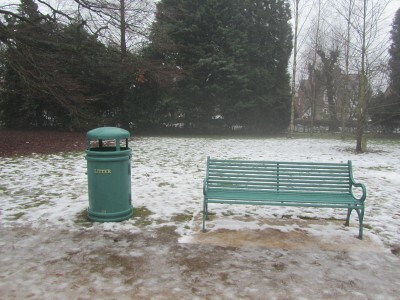 Five new seats and five new bins have recently appeared in the Albert Park. This has led to a super abundance of litter bins since a lot of the old stone bins are still there – even though the broken and vandalised seats had to be removed. 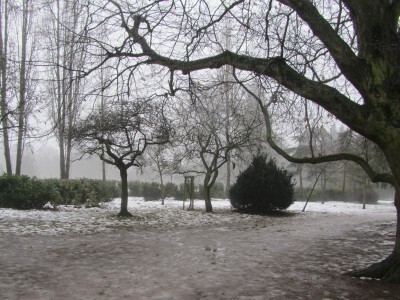 In the Albert Park the thaw has led to some very slushy paths.